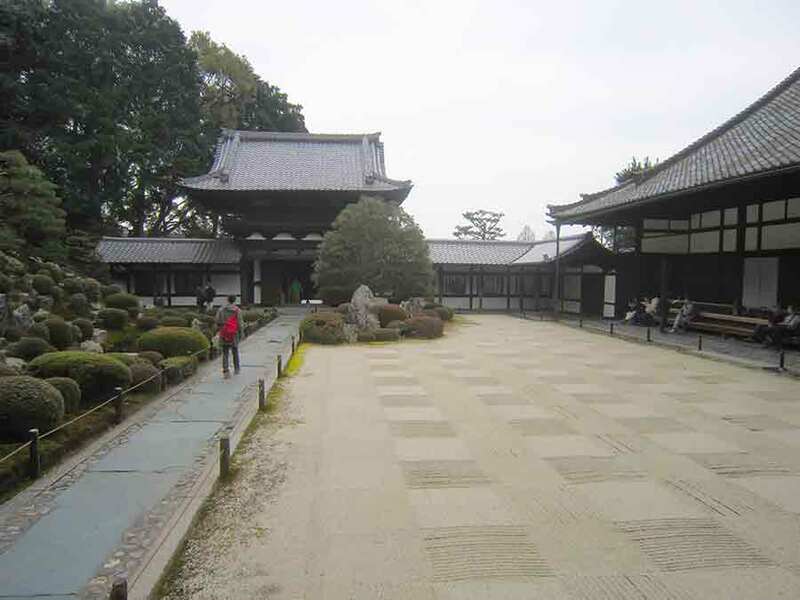 Tofukuji is oldest and largest temple in Kyoto. 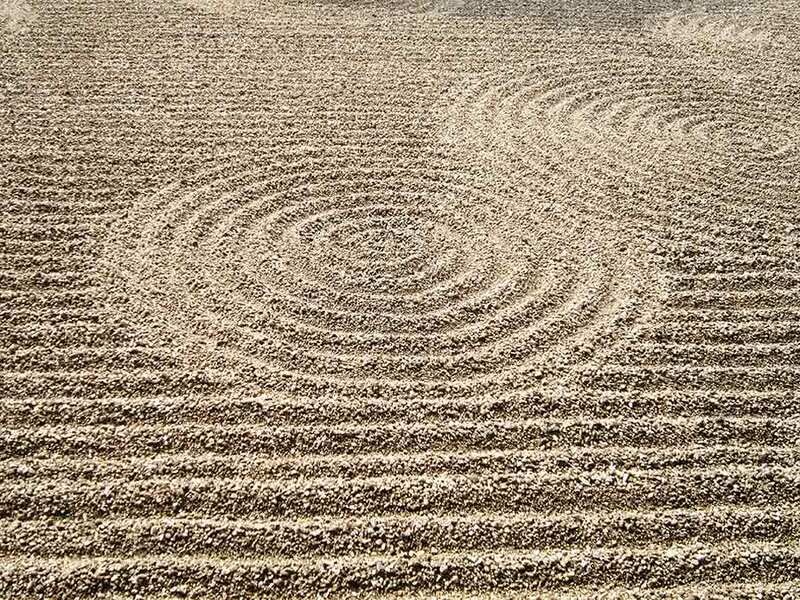 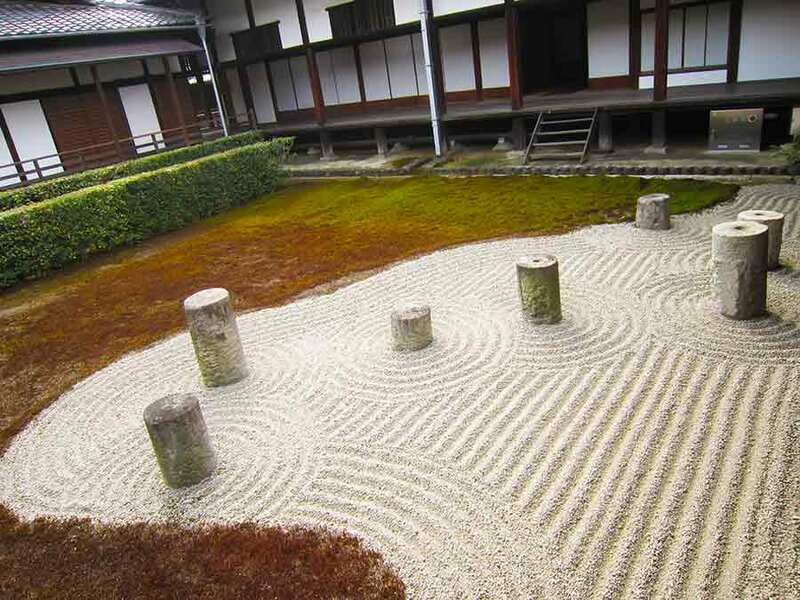 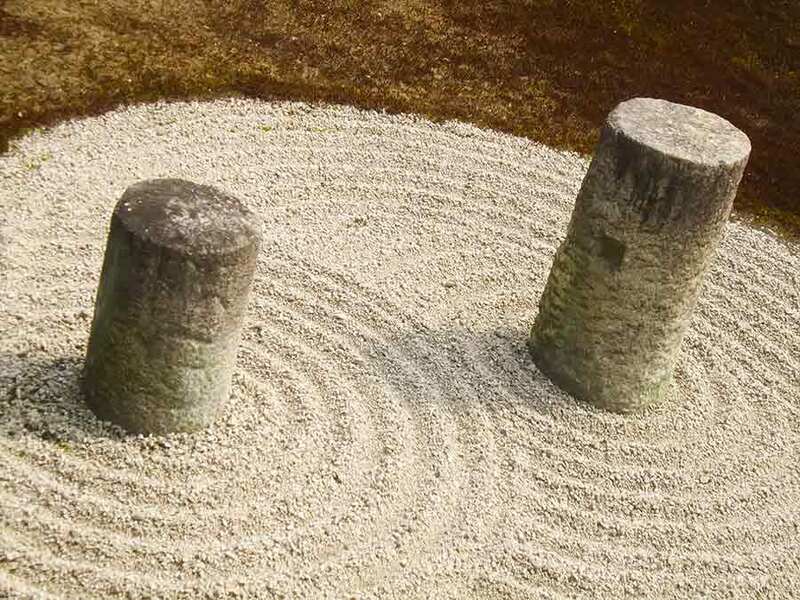 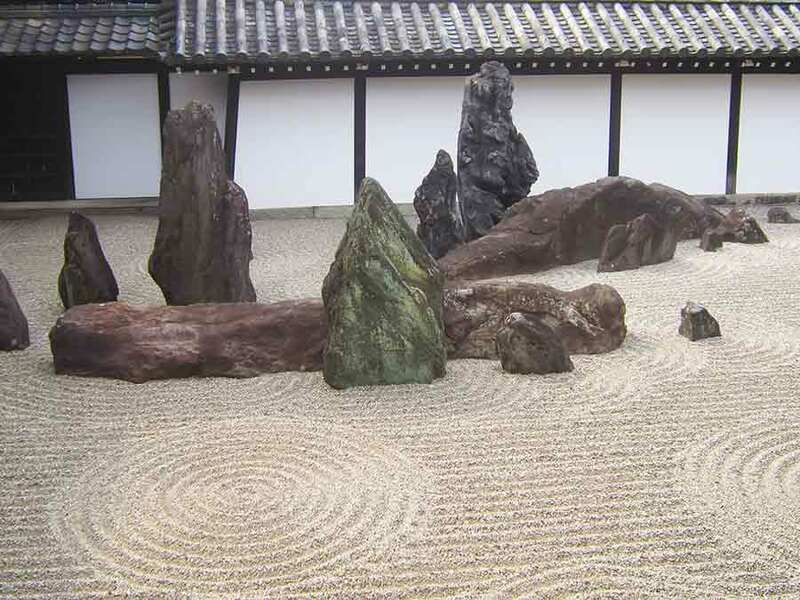 The modern Zen garden around the Abbots Quarters is a symphony of tradition and abstractionism. 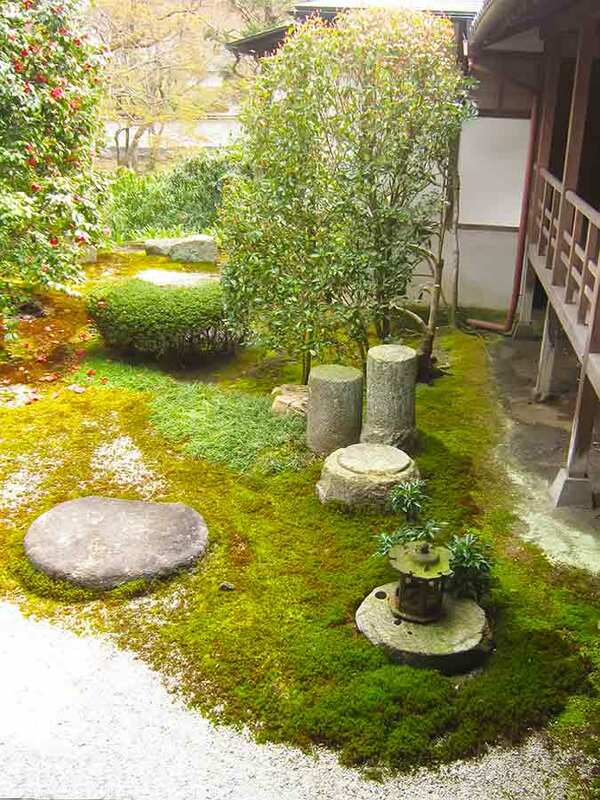 The garden is really a contrasting pair separated by a path and a miracle. 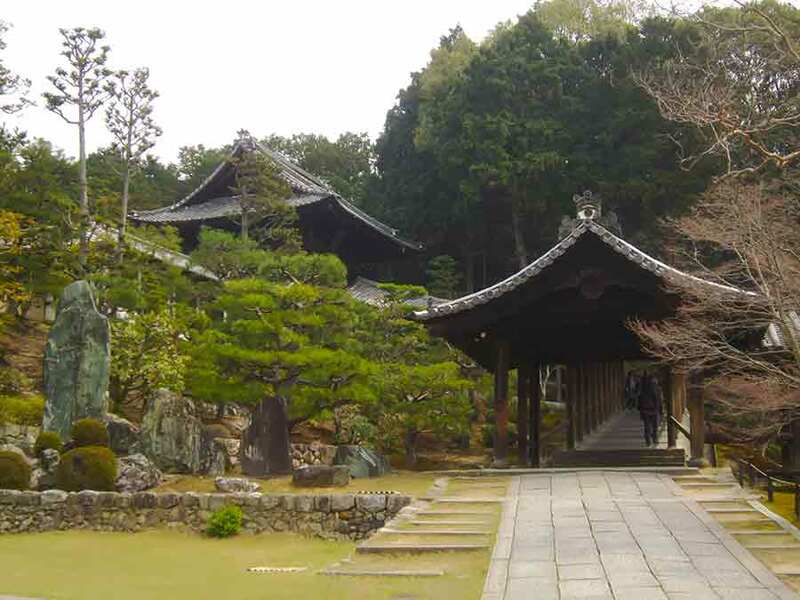 There are gardens on the north, south, east and west sides of the Tofukuji temple, each of which has been created to have its own atmosphere. 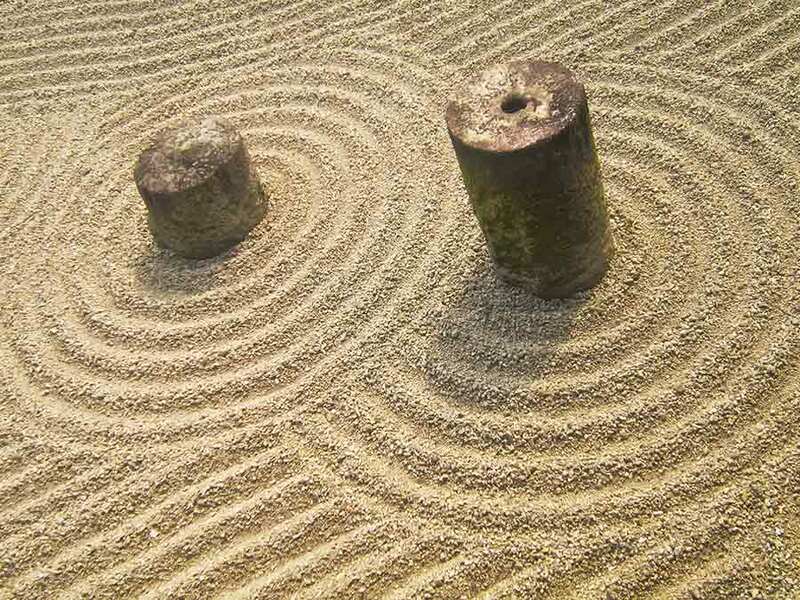 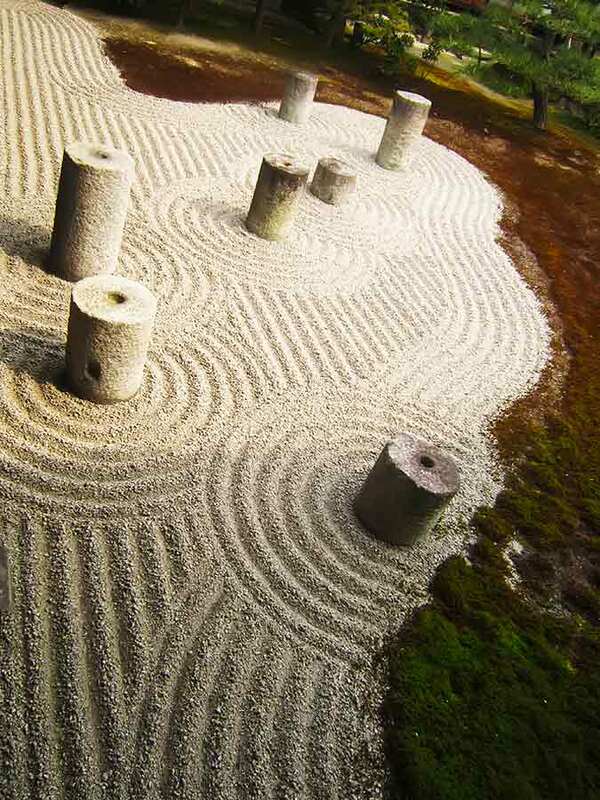 The gardens themselves are a fusion of Zen and modern abstract design. 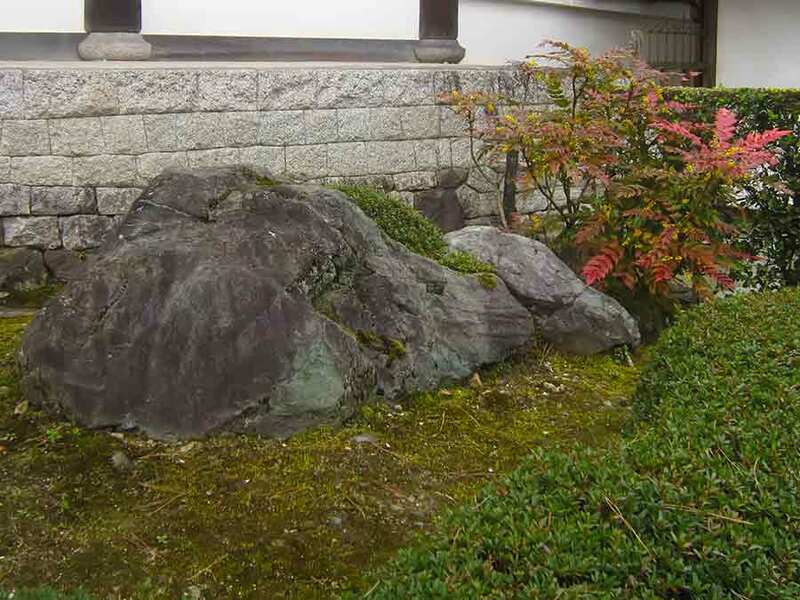 Rock gardens were often built alongside head priest buildings, but the gardens at Tofukuji's Hojo are unique for surrounding the building on all sides. 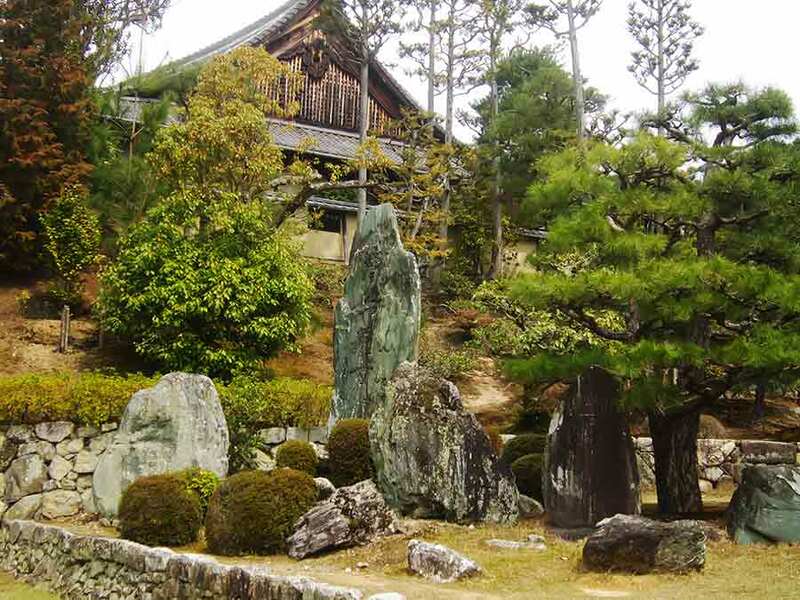 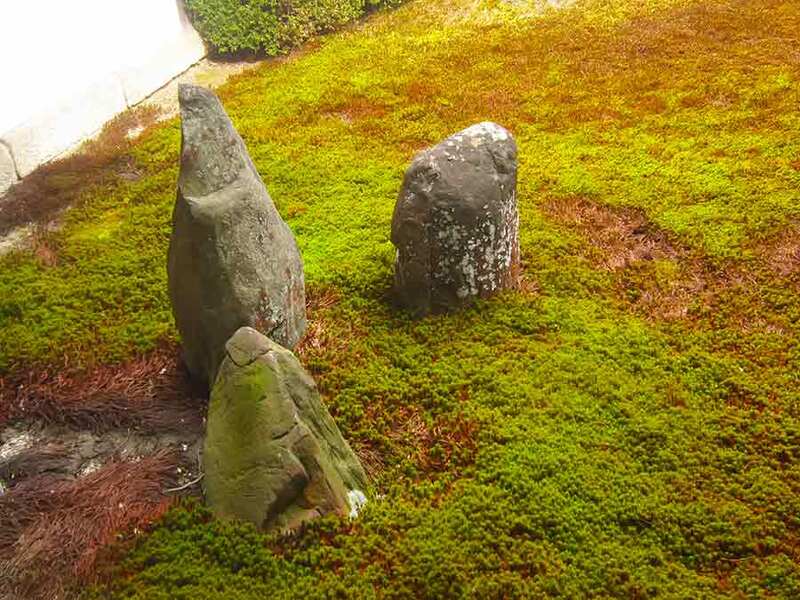 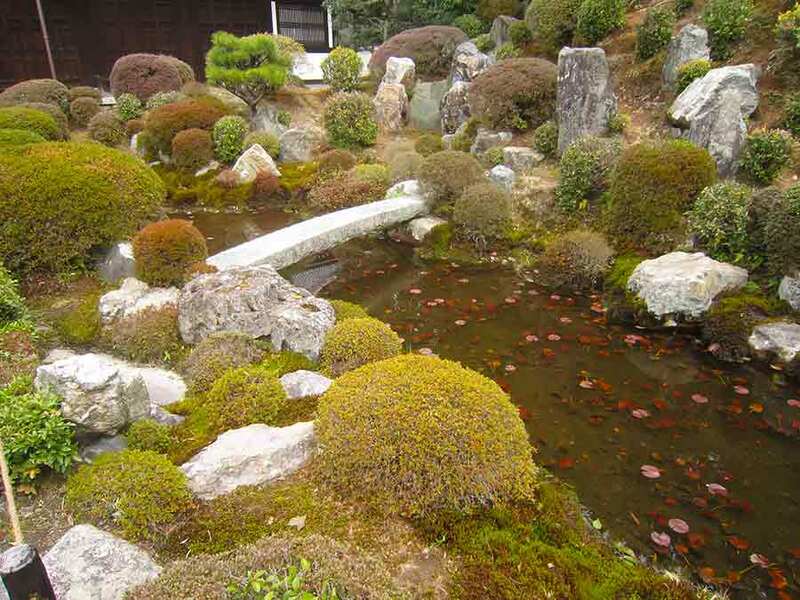 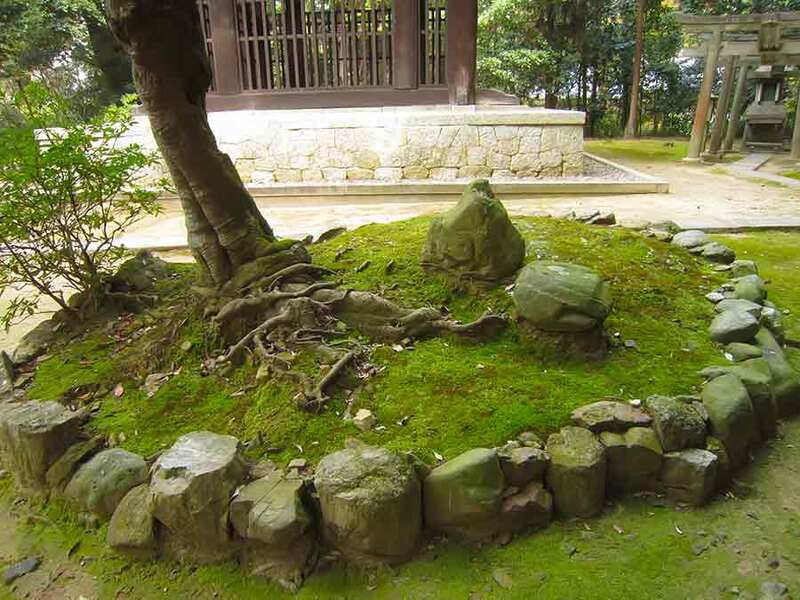 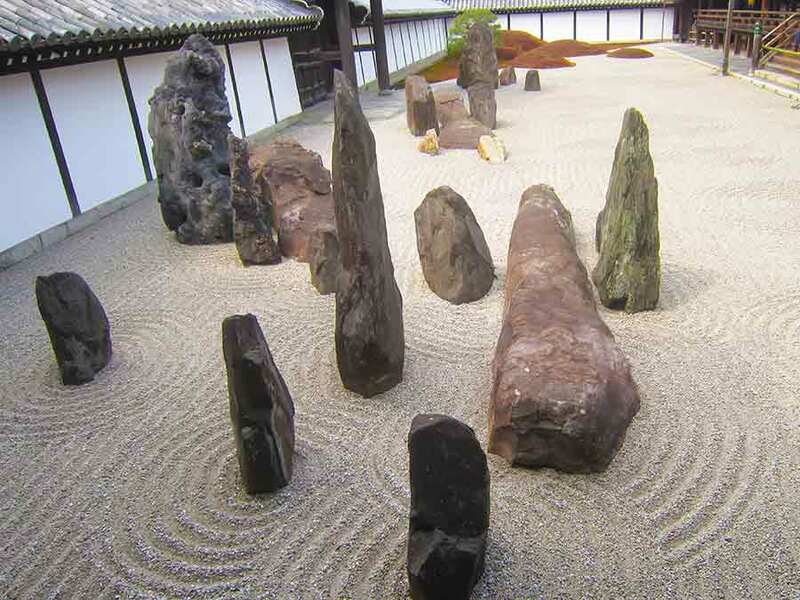 Each garden has a different character, employing pebbles, large rocks, moss, trees and checkered patterns. 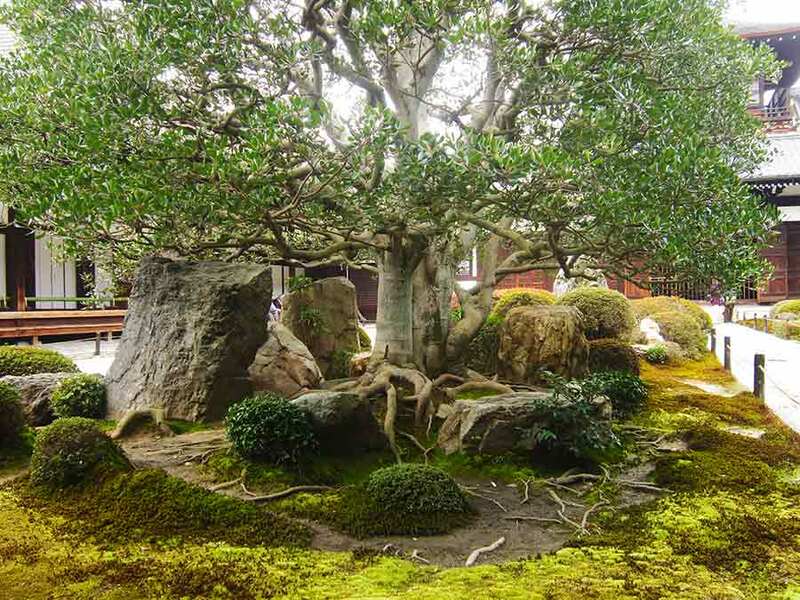 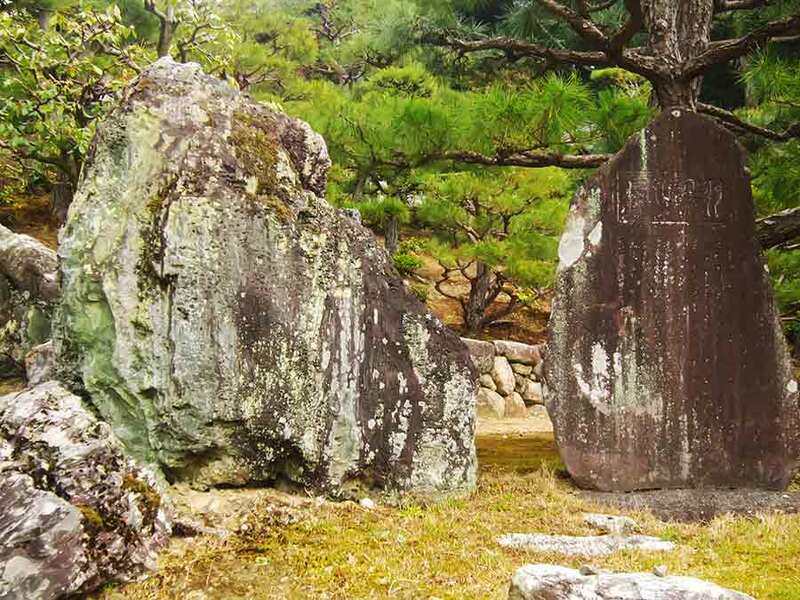 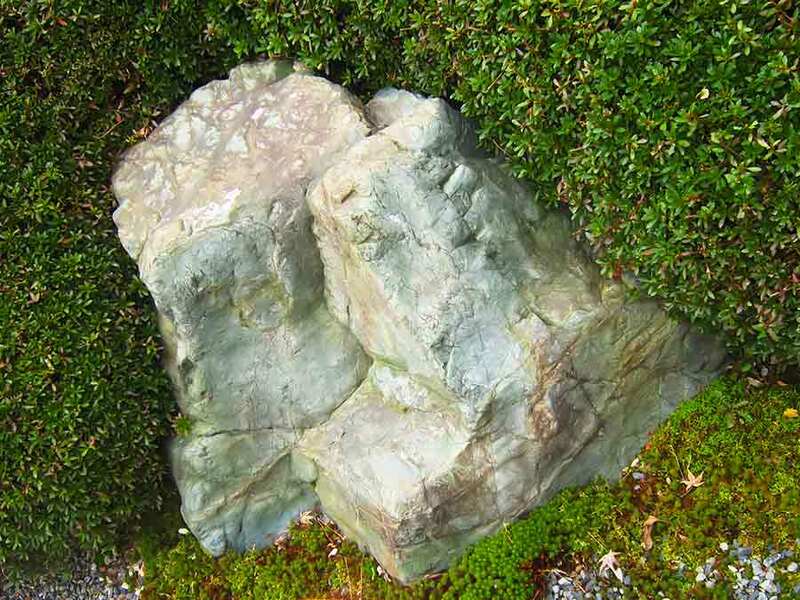 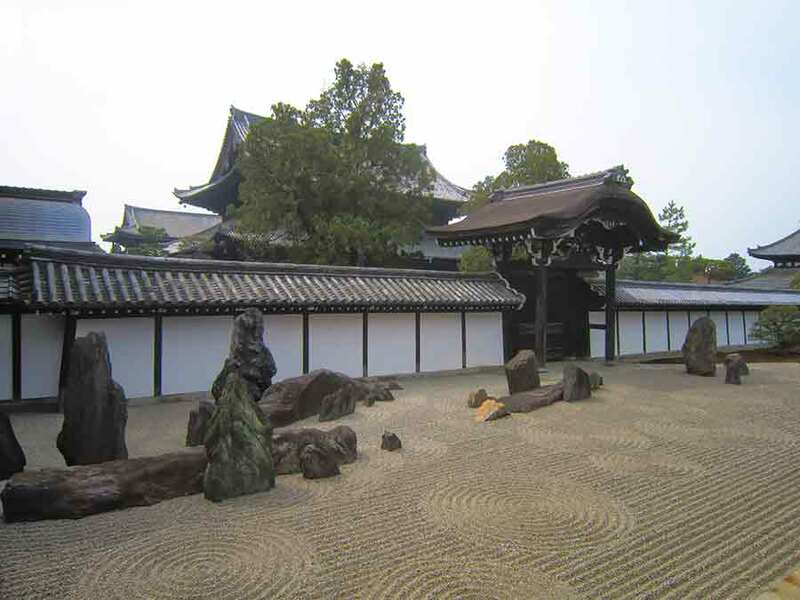 Southern Garden - a rectangular dry-landscape garden that runs from east to west and is composed of large rocks symbolizing the mythical island where immortals live, with, at its far end, five moss-covered mounds representing the five main temples of Rinzai Zen. 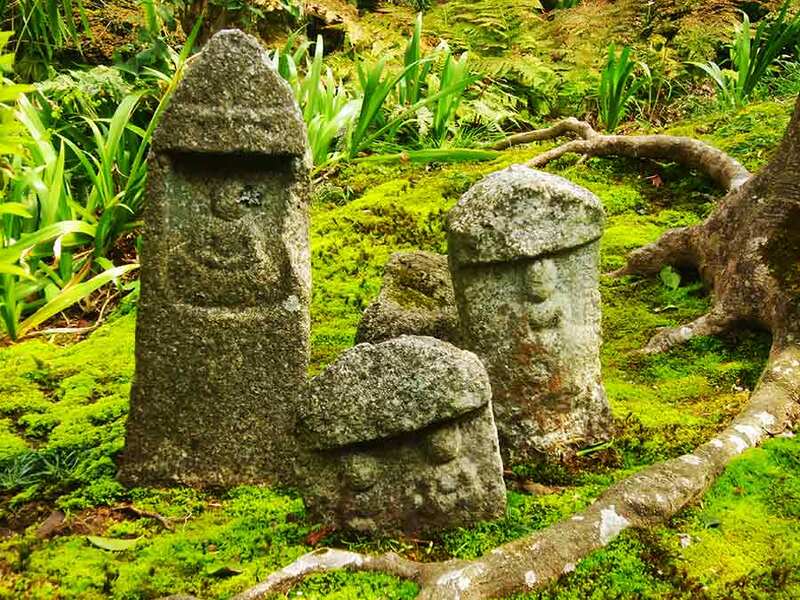 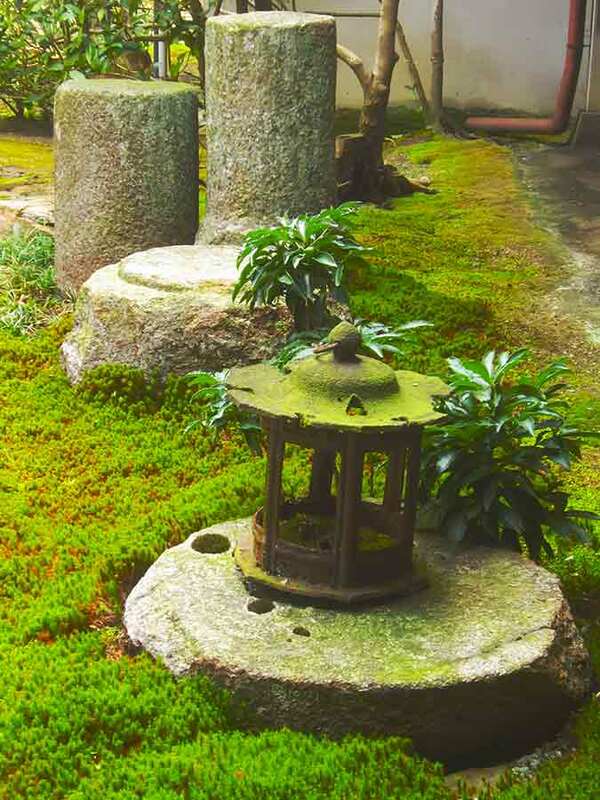 Eastern Garden is composed of moss, raked gravel and seven round granite stone pillars. 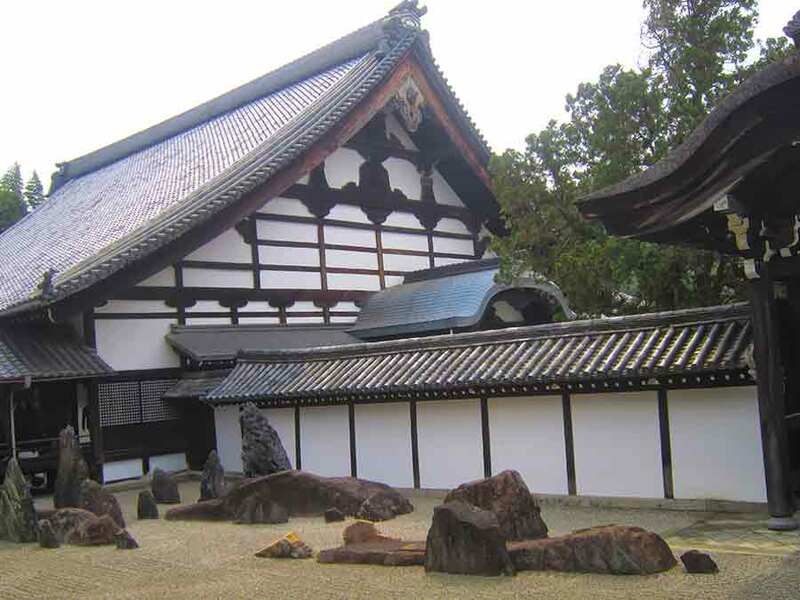 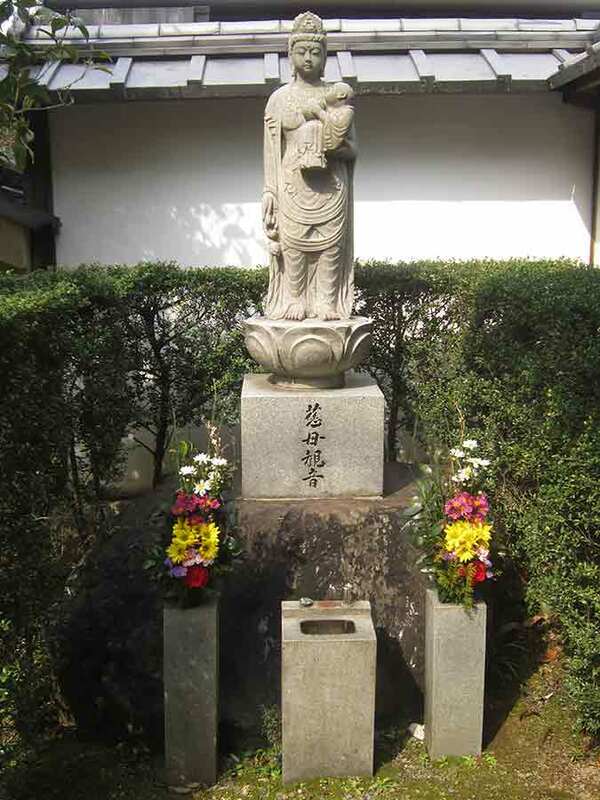 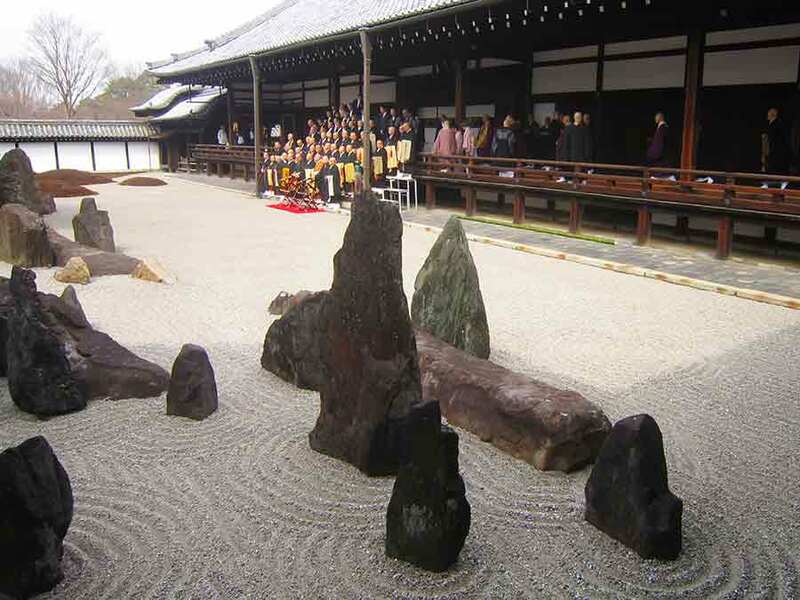 Here, however, the gravel represents clouds, while the granite pillars — originally used as foundation stones — represent the Great Dipper constellation, the constellation known as the Seven Northern Stars in Japanese. 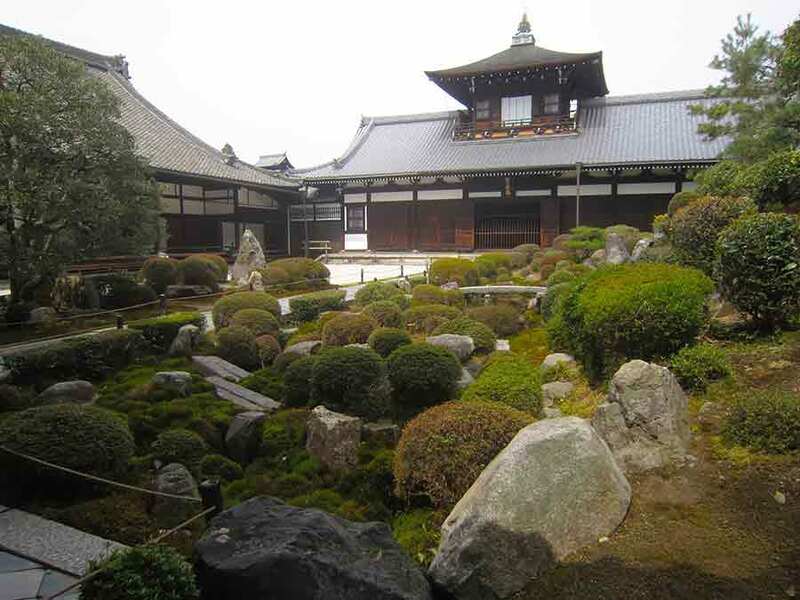 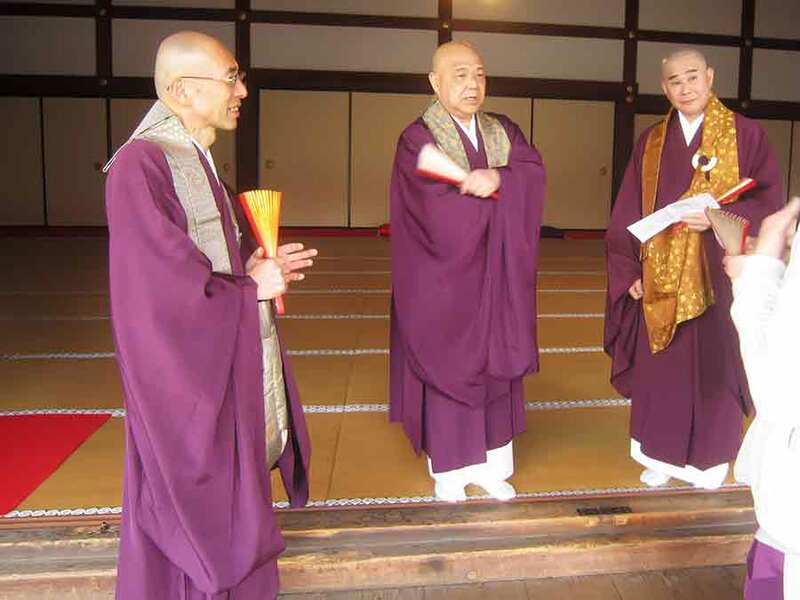 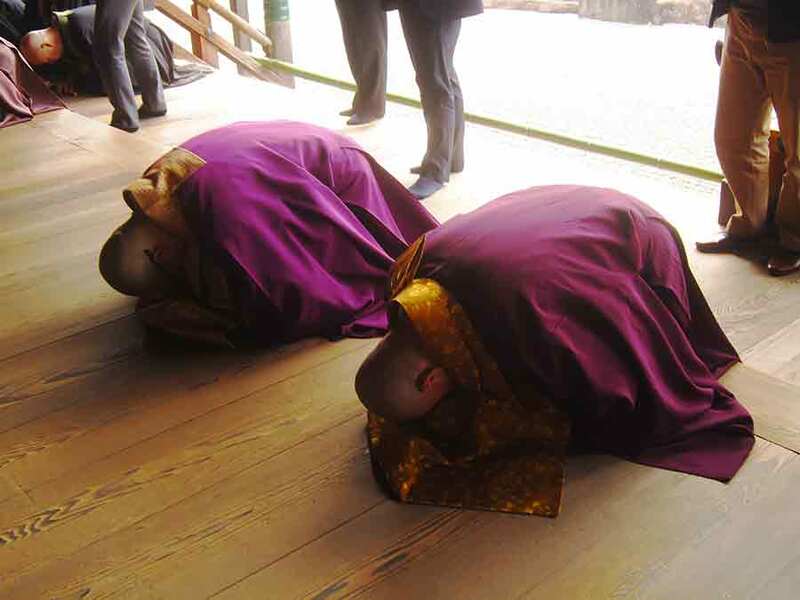 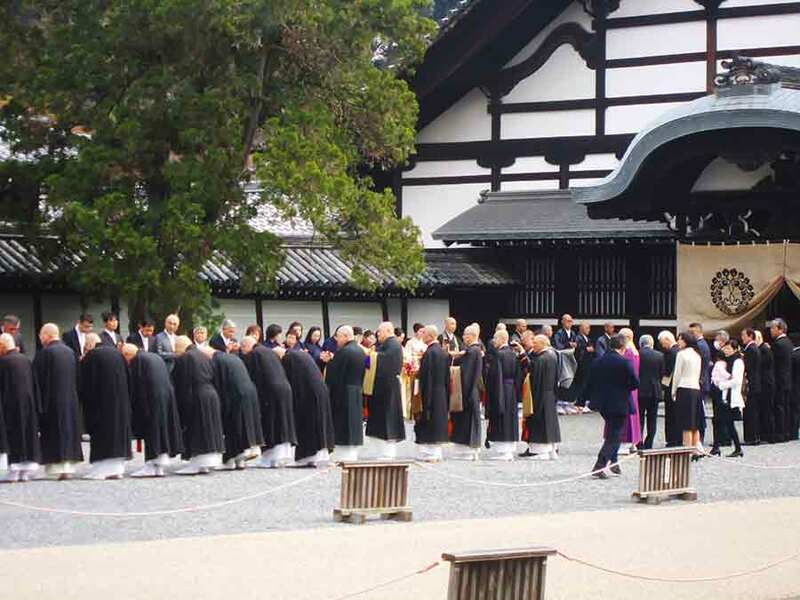 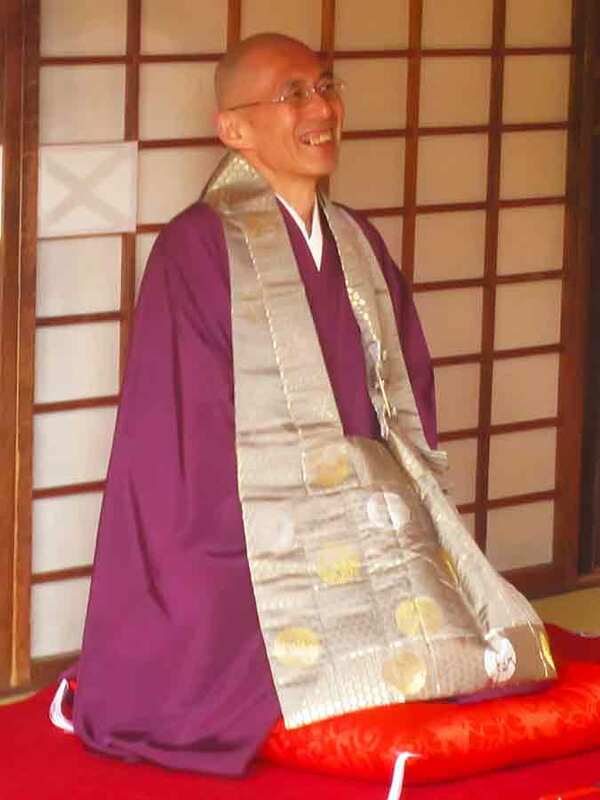 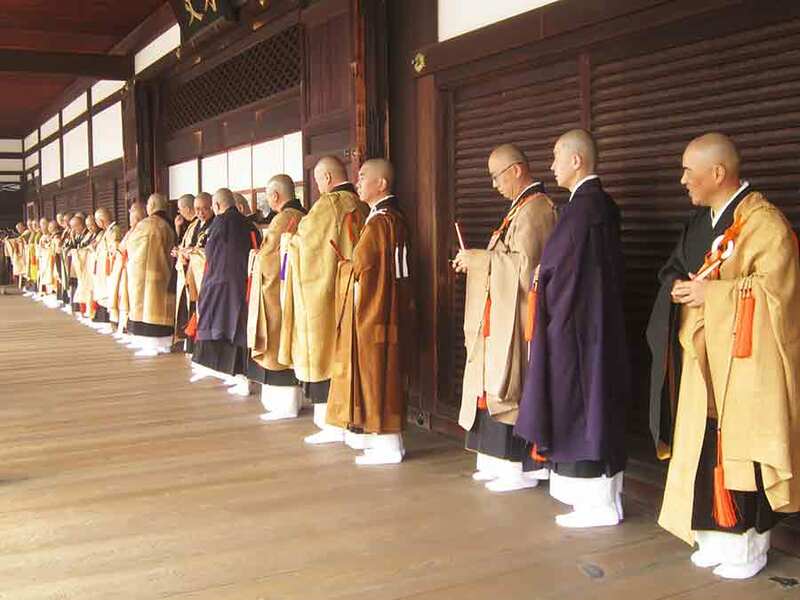 Upon entering a Buddhist temple, one uses a dipper to wash the hands and rinse the mouth, so the garden also represents a ritual of purification. 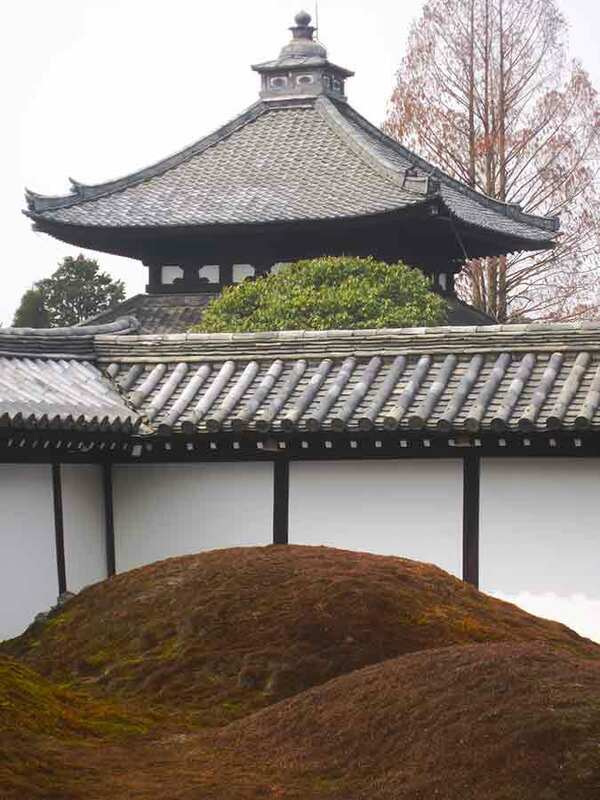 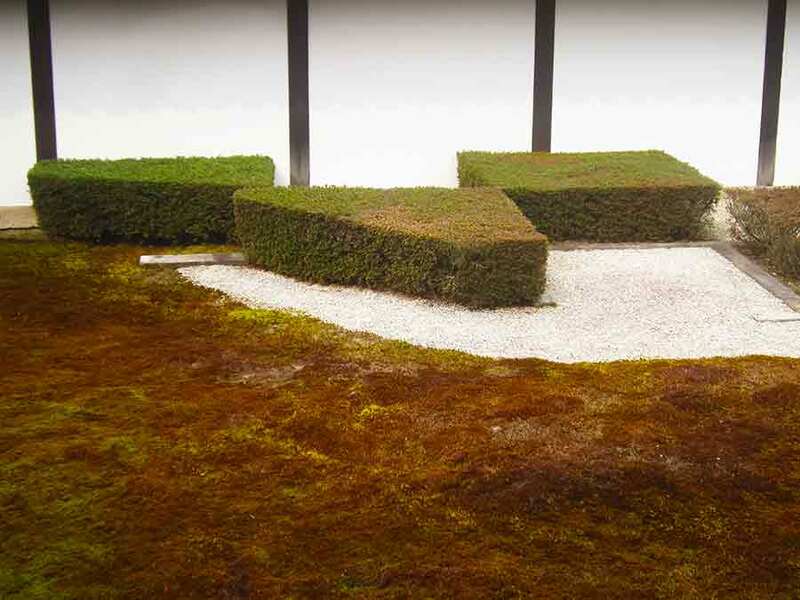 In contrast, the Western Garden is a modern combination of dry landscape and moss. 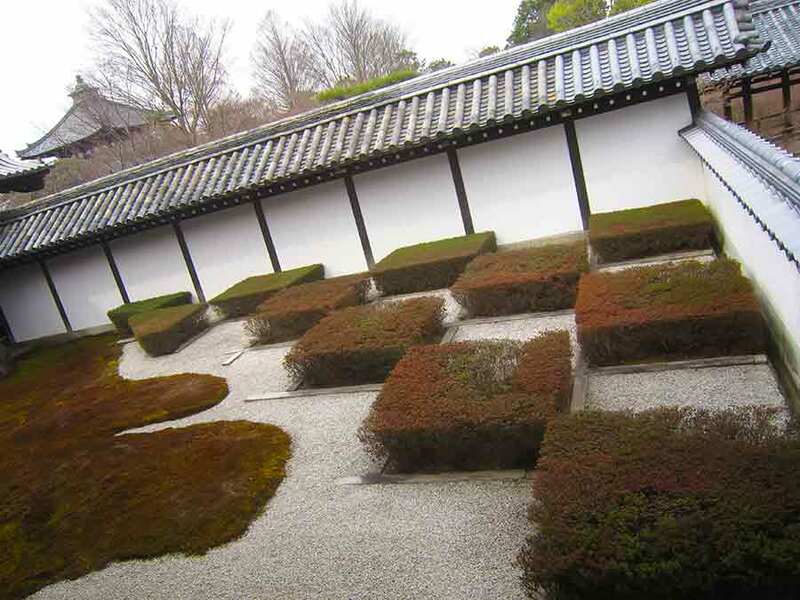 Here, azaleas are laid out in a checkerboard pattern, which derives from the old Chinese way of dividing land. 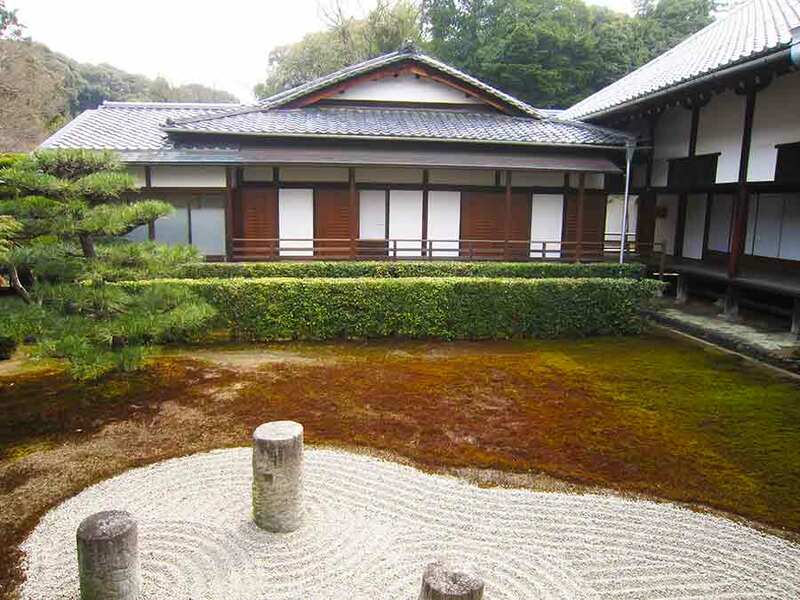 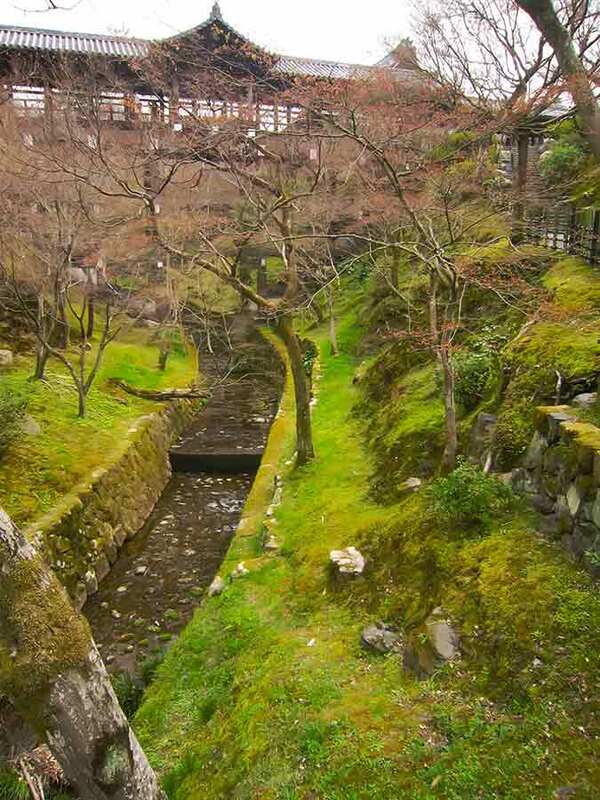 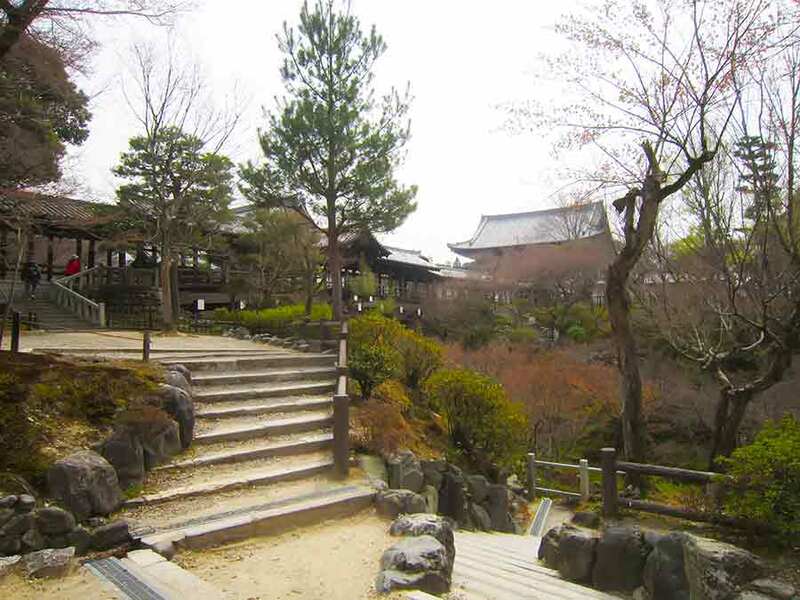 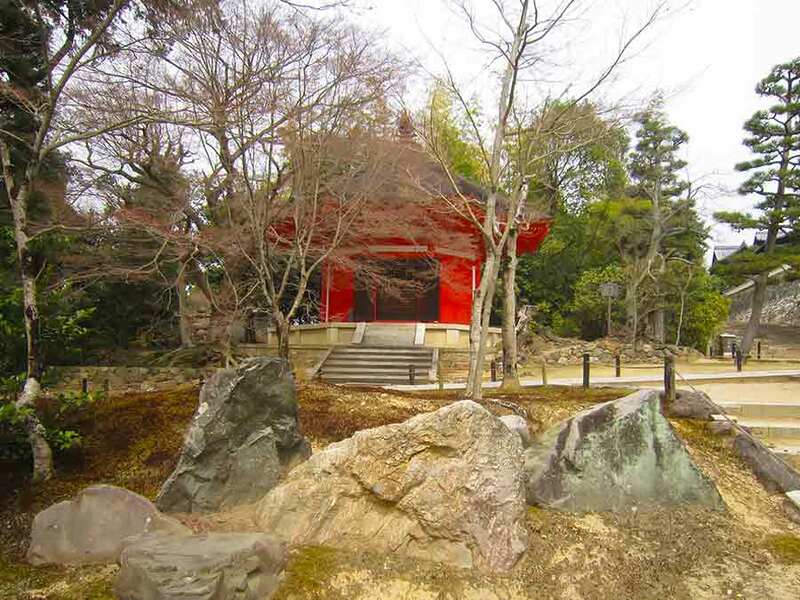 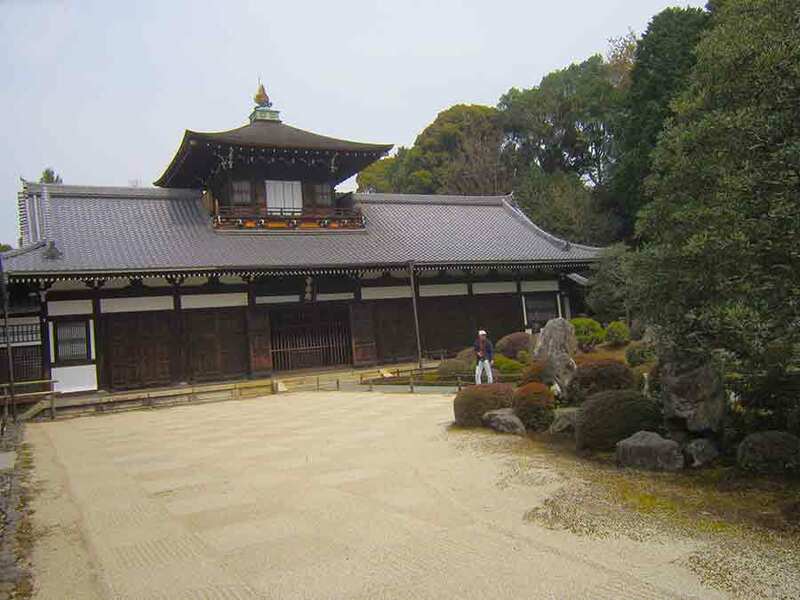 The western garden is called Ryogin-tei that means something like "Dragon Chanting Garden". 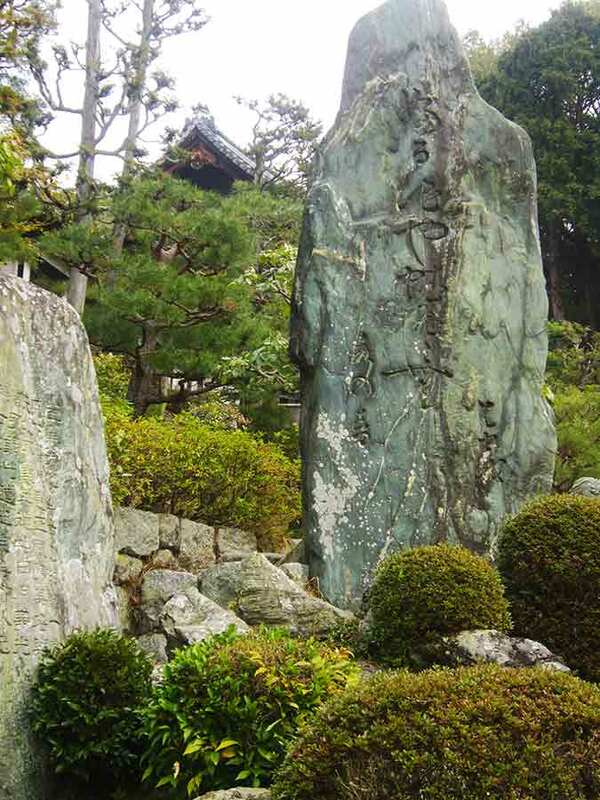 The three large stones in the middle depict a head of a dragon and other stones are its coiled body protruding from cloud. 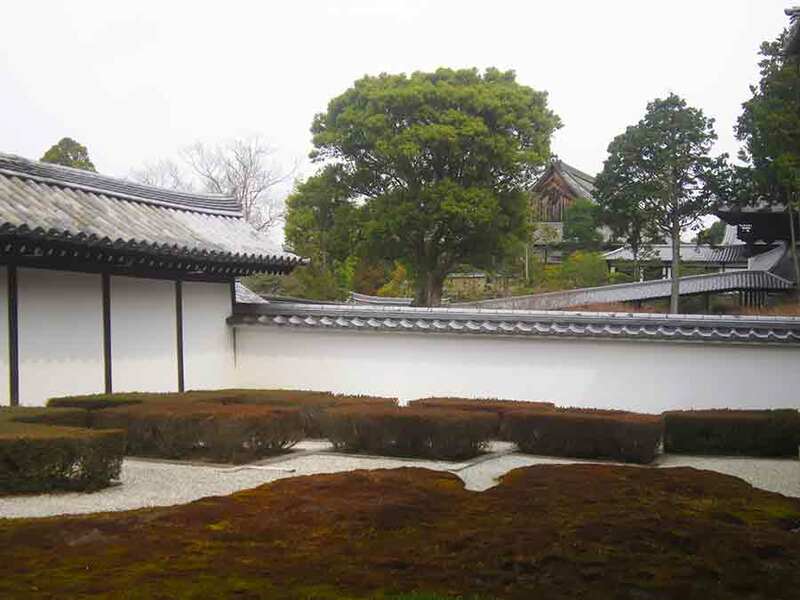 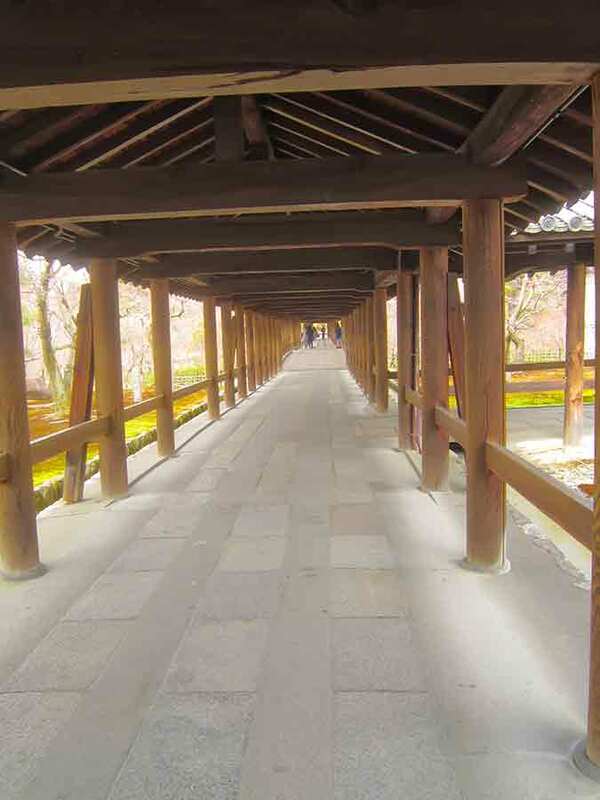 The most famous of Tofukuji’s gardens, however, is the Northern Garden. 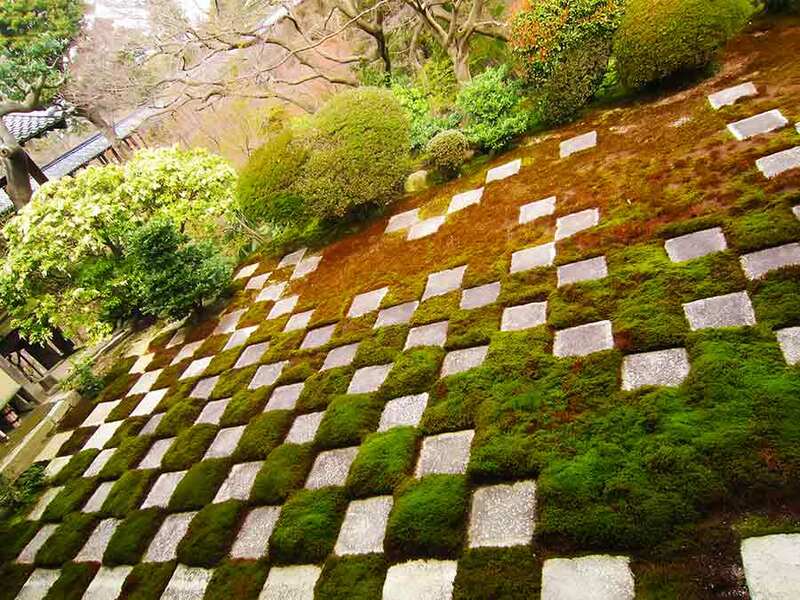 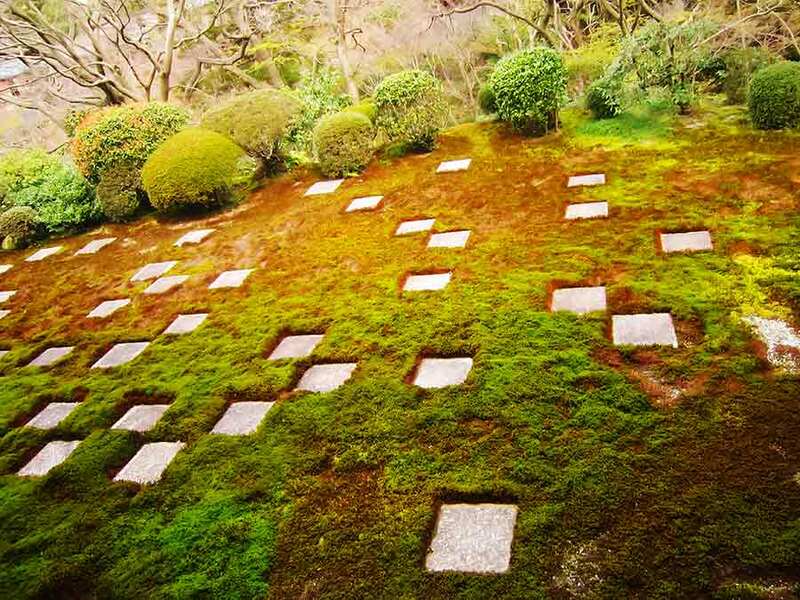 It has square paving stones in a moss-embedded checkerboard pattern that gradually diffuses into apparent randomness, fading out altogether at the far end of the garden. 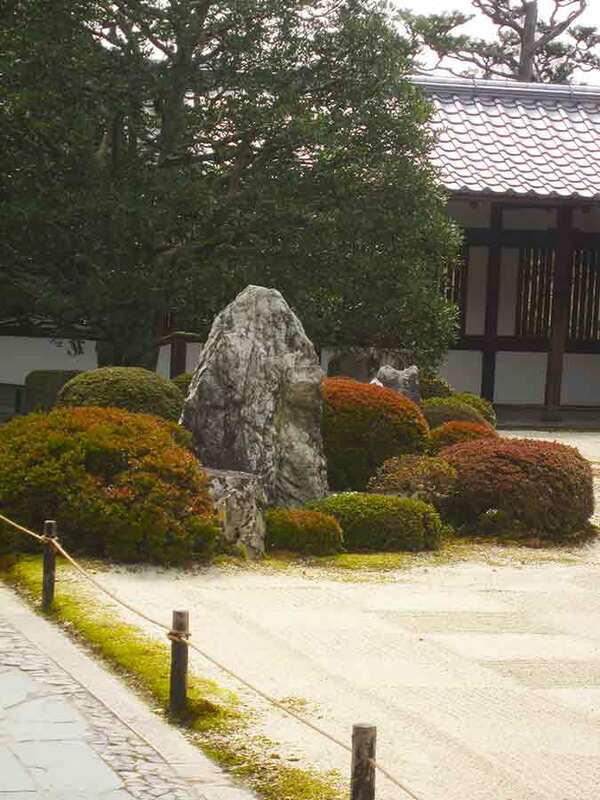 It is called Garden of the Inseparable, and depicts a scene that two dogs protect young Zen monk from wolves. 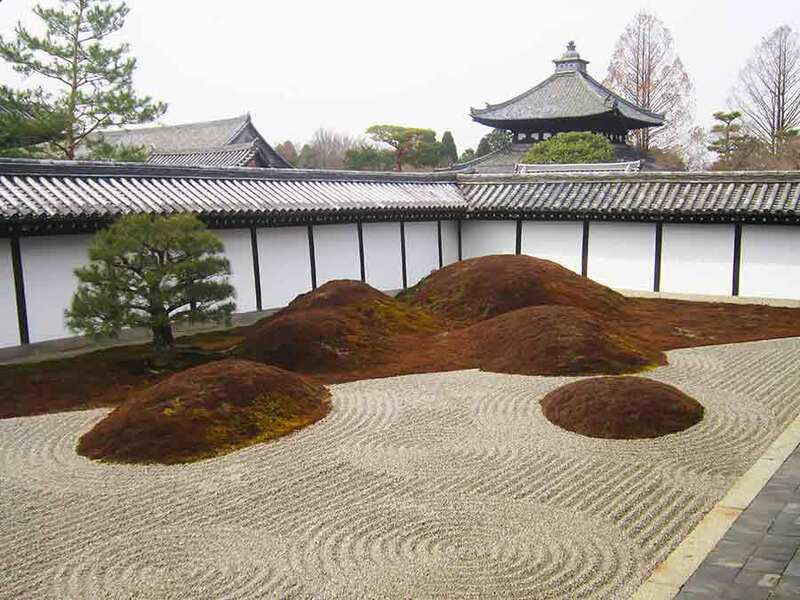 The reddish gravel makes this garden quite unique.